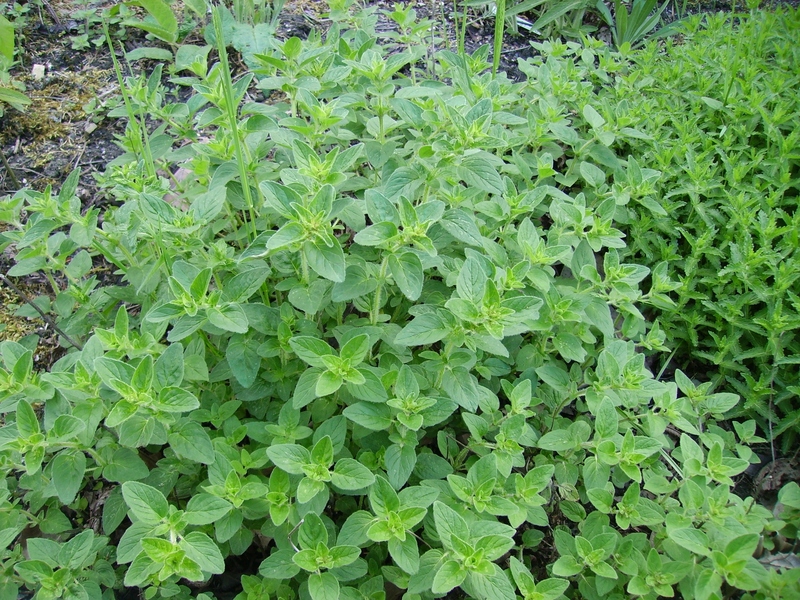 One of my favorite herbs is oregano especially dried but it is used fresh. 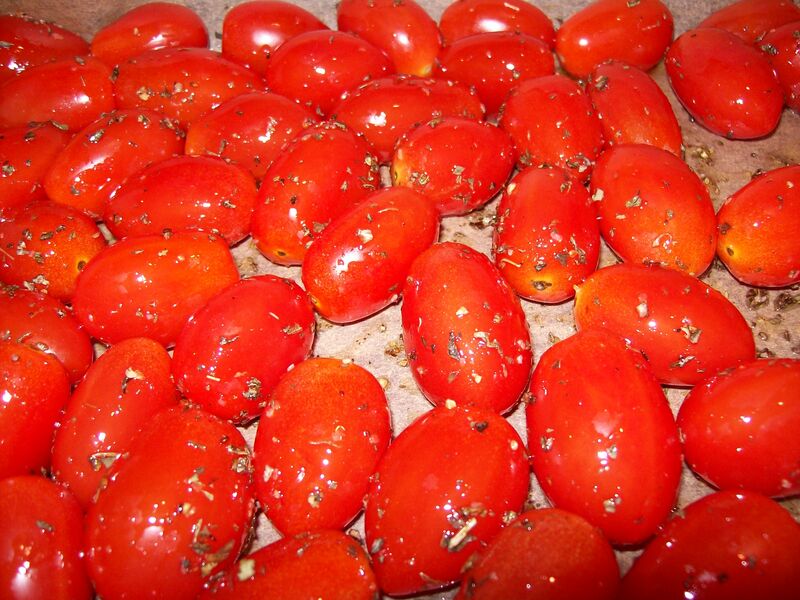 I don’t know what it is I just love the stuff had it in my tuna fish sandwich at lunch today, my wife says it’s good on pizza but…. There are three common types: Origanum heracleoticum (Greek Oregano), Origanum majorna (sweet marjoram) and Origanum vulgare(wild marjoram, common marjoram, etc. ; seems like this sub-species is very common). Oregano is sold fresh and dried as cuttings of flower tops and leaves packaged in disposable containers or as dried, ground leaves packaged in sprinkle-pour bottles. Caution: Not all oreganos are equal. Greek oregano (rigani) is a subspecies with the latin name Origanum vulgare (previously Origanum heracleoticum or Oreganum heraclites). Look at oregano package labeling to identify it. Today, several varieties of oregano are grown in many different parts of the world, from seeds planted in light, dry, and well-drained soils. Historically, as the name implies, Greek oregano originates on the mountain slopes of Greece. It continues to be an important erosion-control plant: its roots reduce soil erosion on mountain slopes. Greek hillsides covered with summer’s growth of wild oregano in bloom are a fantastic excursion for eyes, feet, and nose! The name “oregano” means “joy of the mountain” and has its origins in the ancient Greek “oros” (mountain) and “ganos” (joy). Oregano’s power to heal has been known for centuries. It has powerful bacteria and fungi killing properties. 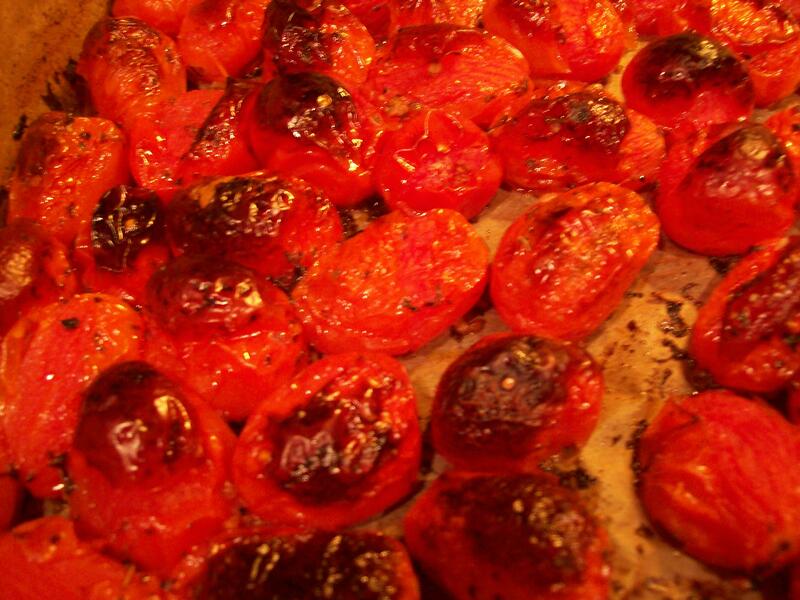 It is used as a painkiller and anti-inflammatory. 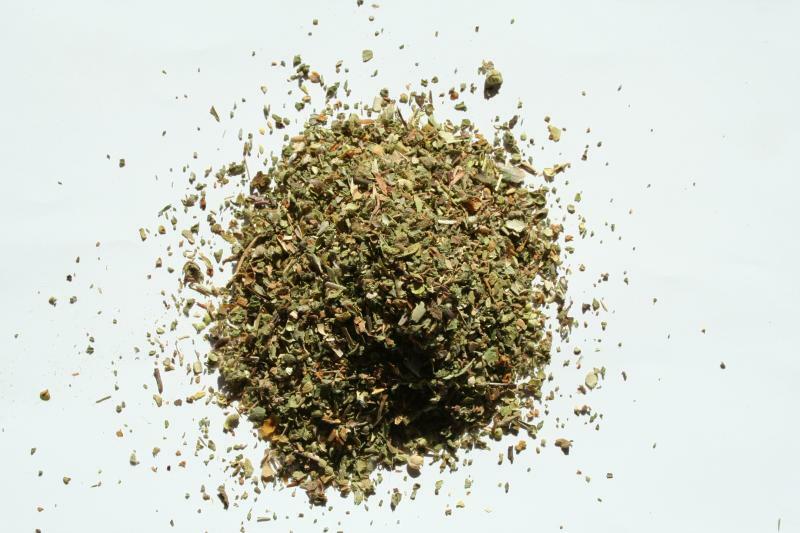 Oregano tea is a treatment for indigestion, coughs, and to stimulate menstruation. The oil of oregano is used for toothache, and in some cosmetics. 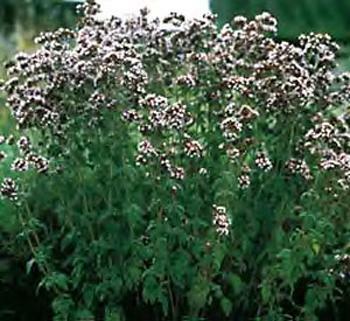 The leaves and flowering stems are natural antiseptics because of high thymol content. Then at whfoods.org if found this info..
Oregano is known botanically as Origanum vulgare and is called wild marjoram in many parts of Europe since it is closely related to the herb that we know as sweet marjoram. It is a small shrub with multi-branched stems covered with small grayish-green oval leaves and small white or pink flowers. In Mediterranean climates oregano grows as a perennial plant, but in the harsher climates of North America, they grow as annuals……..
You may have seen a bottle marked “oil of oregano” in a health food store. There are good reasons why! 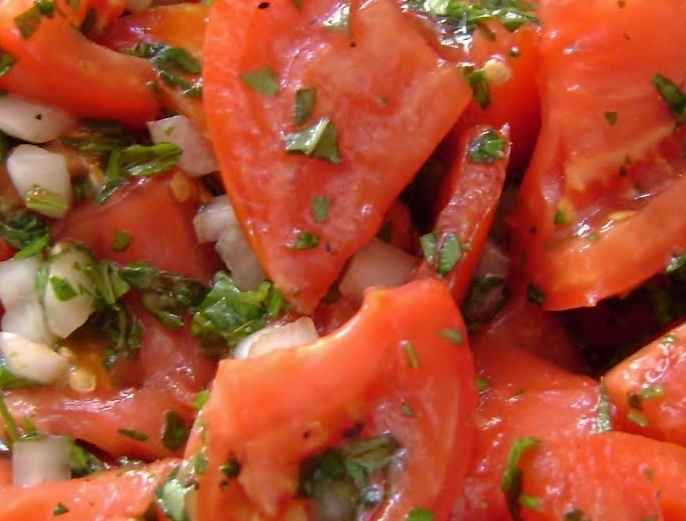 Our food ranking system qualified oregano as a very good source of fiber. Fiber works in the body to bind to bile salts and cancer-causing toxins in the colon and remove them from the body. This forces the body to break down cholesterol to make more bile salts. These are just some of the reasons that diets high in fiber have been shown to lower high cholesterol levels and reduce the risk of colon cancer. 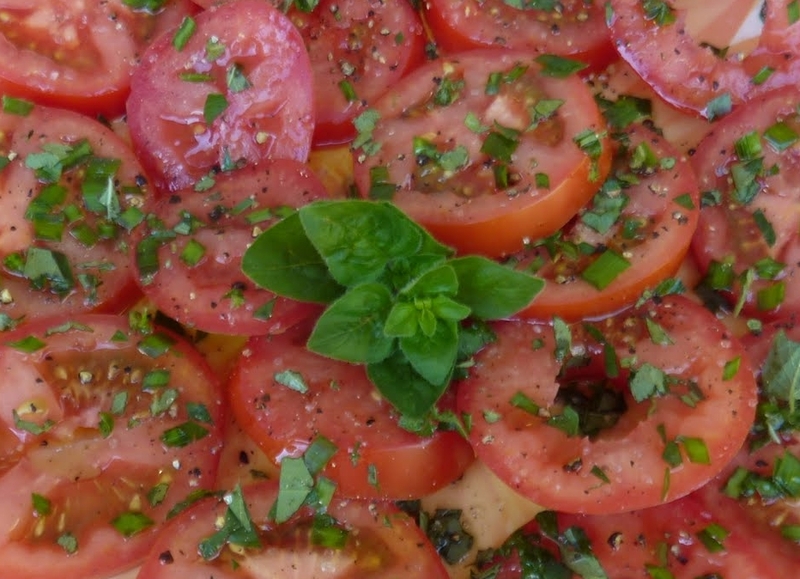 Oregano also emerged from our food ranking system as a bountiful source of many nutrients. It qualified within our system as an excellent source of vitamin K, a very good source of manganese, iron, and calcium as well as a good source of vitamin E and tryptophan. This entry was posted in Information and tagged Antioxidant, Aphrodite, Greece, Greek, Marjoram, Mediterranean, oregano, Origanum. Bookmark the permalink.